I started my career as an interior designer when we finished remodeling our home that was built in the 1890s. I loved the space planning, choosing finishes and decorating every little inch. It was trial and error, and we made mistakes, but I learned a lot along the way. Along with being a learning process, working on our home was also a hands-on project. We did everything ourselves (actually, my husband Tom did all the building and heavy work, I did the fun stuff!). I’ve had the decorating bug ever since I was a little girl, but I wanted to know everything about design, so, as a result I returned to college (Mount Mary) for a second degree in Interior Design. I’ve been collecting antiques and vintage furnishings forever. My favorite shopping places are flea markets, antique stores and of course, Goodwill. I love DIY projects and saving money by taking an object and re-purposing it into something beautiful and useful. I’m also an amateur photographer, love to travel and study French (J’adore tous ce qui est franҫais)! Although I love to entertain, I’m not much of a cook. My party philosophy is "if the table looks fantastic, it doesn’t matter what you serve." 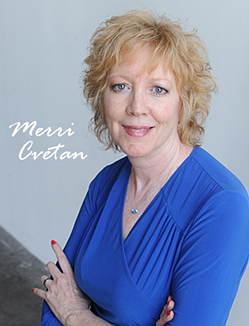 Follow Merri on Twitter and Pinterest! Watch Merri on Windy City Live! ... See more videos featuring Merri (and more) on our AmazingGoodwill YouTube channel! Red, White and Blue BBQ! Upcycling a What is it? It’s a Table! It’s a Seat! New Year’s Eve Centerpiece Glam! Hop To It! Easter Dinner! Celebrate At Home This Year! 12 Tips for Getting Orangized in 2015! 15 Ways to Reuse an Old Rake! Make Your Own Reusable Tote Bag for Earth Month! Nesting Instinct - Easter Baskets!